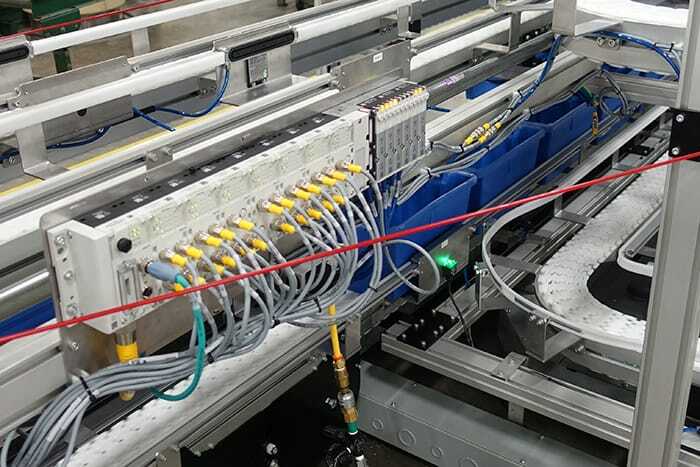 Recently, a pharmaceutical company came to Dorner looking for a system that would increase the throughput of their operation. Pharmacists and technicians were manually carrying totes between various order filling stations and the area for verifying and packing. 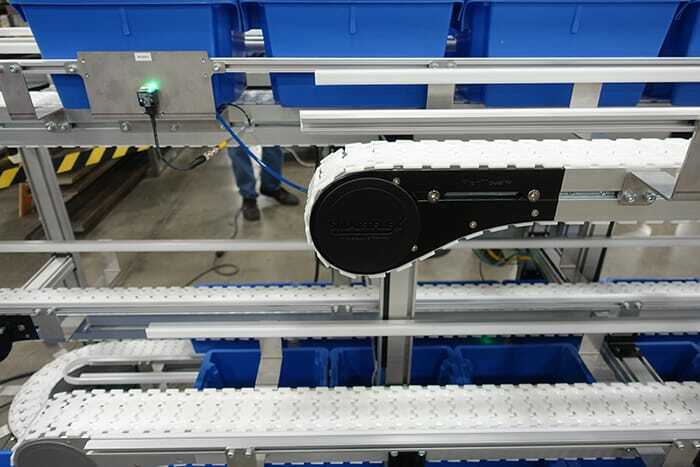 The company needed a way to automate this process and increase efficiency. To meet this request, Dorner created a three-level system that allows the totes, carrying various prescription medications, to move through the pharmacy automatically. Operators are positioned at several workstations throughout the system where prescription filling robots are located. 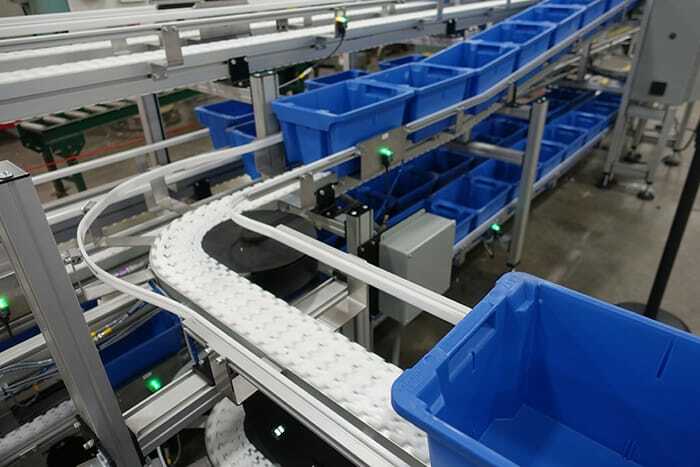 The operator fills a tote with the required prescription and places it on the conveyor level that sends it to additional locations for order filling. 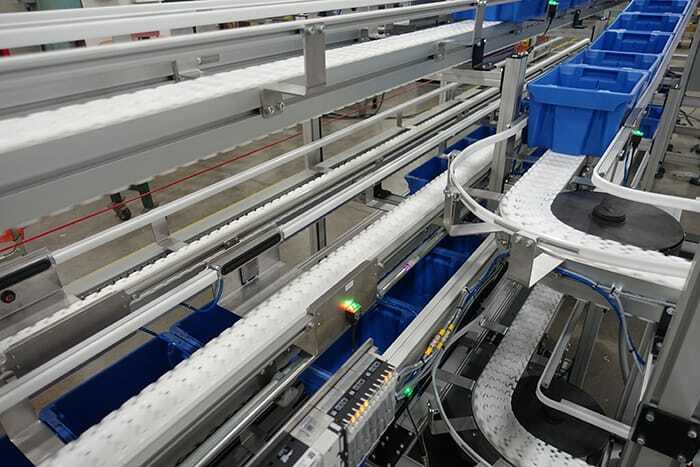 Once the order is complete, the tote will be placed back on the system which then sends the order to a location where in can be verified and packed. Finally, the empty tote is returned to the lower level that takes the empty totes to the various workstations for the next new orders. 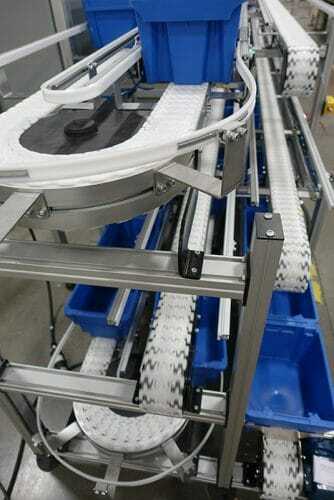 This system uses the 2200 Series SmartFlex Conveyors, Dorner’s high-performance, flexible chain conveyors. The SmartFlex line is designed for long runs, tight turns, and inclines and declines which makes them ideal for a custom system that needs to fit in limited space. 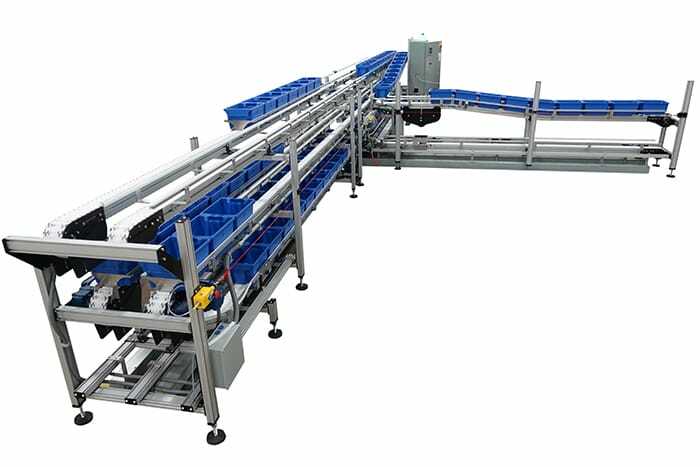 To control the totes’ movement, the system uses both physical end stops as well as photo-eye controlled pneumatic bladder stops. 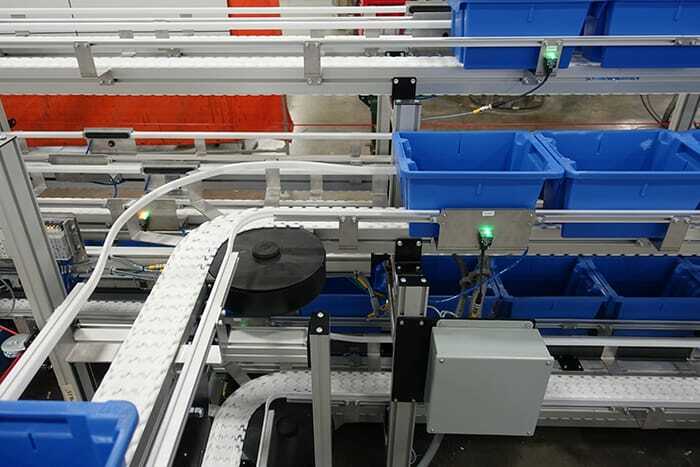 These stops allow a specific number of totes to accumulate at the workstations, ensuring the workflow can be efficiently staged by each system operator. Stops are also placed by every curve to meter totes through the curves to prevent jamming. Dorner incorporated a remote I/O solenoid device that allows us to wire all the photo-eyes and plumb the bladder stops in an area where they are heavily concentrated rather than having all the logic and solenoids wired and plumbed at the control panel. This creates a clean looking system and reduces installation time. The control panel features a remote assist module. This module allows the remote capability to troubleshoot and make changes to the existing control program. This reduces the need for costly in-person service visits. Watch the video below to see this system in action. If you’re interested in working with Dorner on a custom solution for your operation, contact us today.